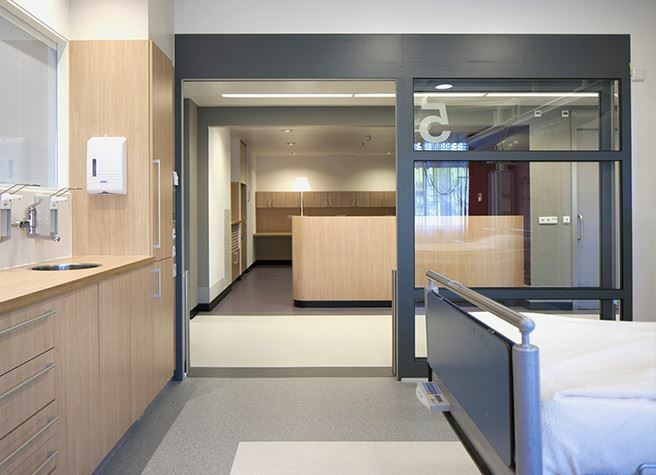 In order to allow the patients to recover as optimally and safely as possible, it is important that they can stay in patient rooms that have been tailored to their preferences. In order to ensure that patients are left undisturbed as much as possible, low noise rooms are essential. 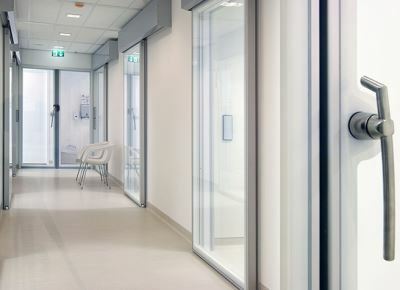 By means of sound-absorbing doors leading to the patient rooms, it can be prevented that patients are disturbed by noises from the hallway. Patients who are severely ill have a weakened immune system and are very vulnerable to infectious diseases. 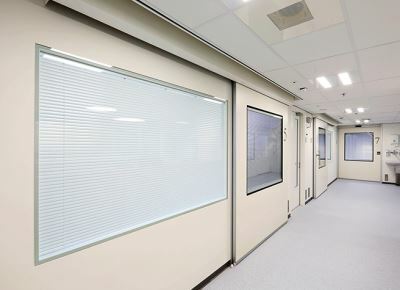 For example, in the Intensive Care ward in a hospital, it is important that as few harmful bacteria as possible can enter the patient rooms that could negatively influence patient safety. 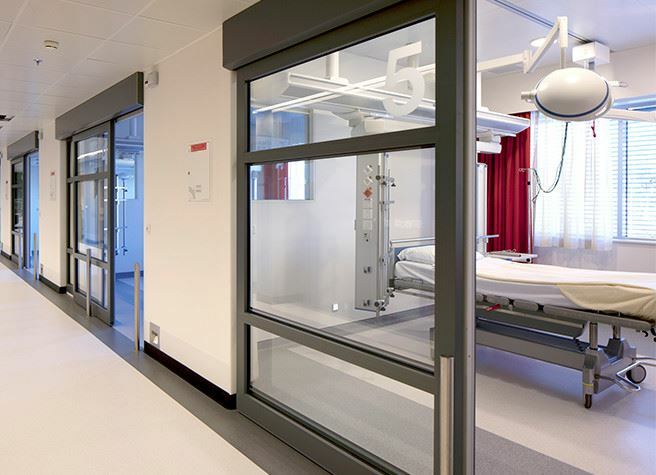 The use of airtight doors in the IC patient rooms can contribute to reducing infections. In certain cases, the danger of contamination is so significant that the patient has to be completely isolated. For example because the patient is contaminated and the rest of the hospital has to be protected. Or because the patient has no resistance due to treatments. In these cases, the patients are cared for in a completely airtight quarantine room, which can only be entered via a hermetically isolating door. A good atmosphere in patient rooms is not only pleasant, research has also shown that this advances recovery. 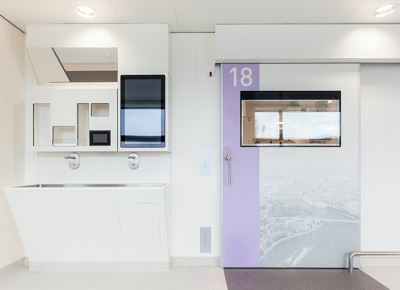 The Metaflex hospital doors are available in many different colours and materials, such as for example wood designs. With the Imagine door foil, any desired print or picture can be chosen. This allows you to easily create, for instance, a tranquil environment with a beautiful picture of nature. 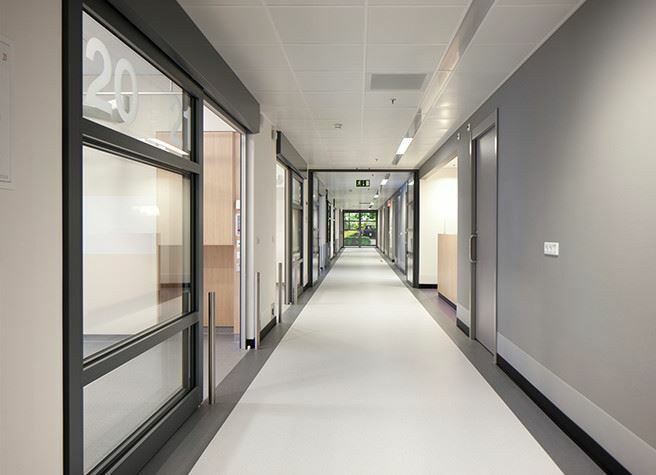 Curious as to how our doors can increase your patients' safety? Ask us about the possibilities.